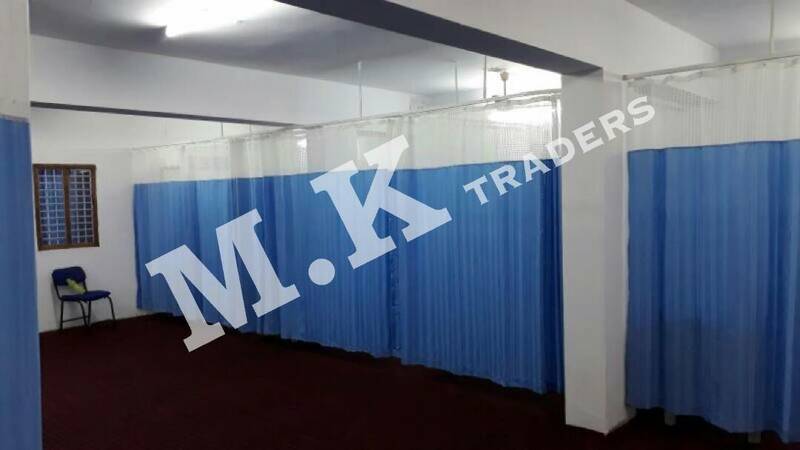 MK Traders is one of the leading Hospital Curtain Manufacturer in Hyderabad Telangana. MK Traders is specialised in Hospital Curtain Manufacturing. For Hospitals Curtains is very important as it gives privacy between patient of one bed to another, it can prevent infection and it add beauty to interior of Hospital. MK Traders the Hospital Curtain Manufacturer in Hyderabad Telangana is manufacturing quality Hospital Curtains that are made with quality material with quality stiching. Our Hospital Curtains are best as they are washable and easy to install at your hospital premises. MK Traders Hospital Curtain Manufacturer in Hyderabad Telangana offers the best quality Hospital Curtains in various colours and sizes with quality work and reasonable price.